The first thing you will notice is that the Nest thermostat and the ComfortLink II really couldn’t look any more different from each other. The Nest: Round with a full-color screen. Described as minimalist the Nest only displays the current inside temperature and not much else. An incredible feature most of our clients love is that it can transform into a digital picture frame when not in use. Between the small, minimalist and out of the way Nest, and the large and loud Trane ComfortLink II; which is better really depends on preference. We are all winners here! 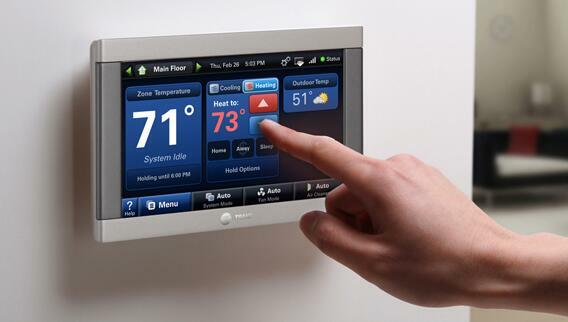 The good news is that both thermostats boast features that will save you money on both electric and gas bills. The Nest: The biggest pitch here is the ability to save you money without you having to do very much of anything. For example, the nest uses a motion detector to learn on it’s own, whereas most programmable thermostats must be manually programmed to adjust temperature when you are away. Trane ComfortLink II: Essentially like a standard programmable thermostat that requires you to manually program the temperatures you want to use for each day and time. This may seem lik a disadvantage on the Trane ComfortLink II, however, unlike the Nest, the Trane ComfortLink II allows you to track how much extra work your, heat pump, furnace or air conditioner is putting out to see if you are actually decreasing your system’s use. 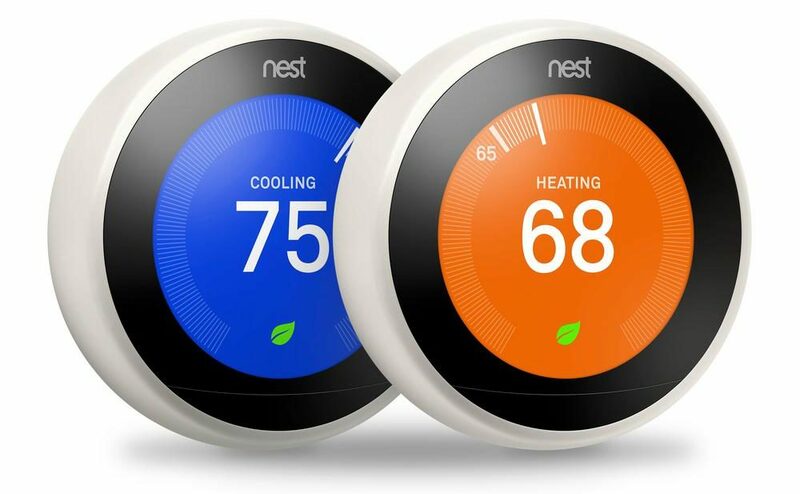 The Nest: Compatible with about 95% of all heating and air conditioning systems on the market. If your thermostat uses higher voltage wires than there is a good change the Nest will not be compatible but you can check compatibility on their website. 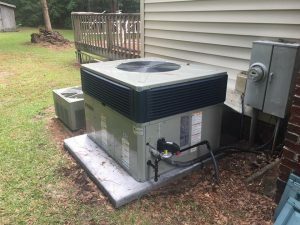 Trane ComfortLink II: To get the most out of this system you will need to hook it up to a compatible Trane system, however, the Trane ComfortLink II can also control just about any HVAC system’s temperature. The Trane ComfortLink II is built to communicate with compatible Trane systems to improve energy efficiency and to let you know when there is something wrong. If you are using a compatible Trane system there is no bigger winner here than the Trane ComfortLink II. The Nest has an ever expanding list of products that it will work with that create a more connected “smart” home. The Trane ComfortLink II works with a wide variety of products in the Nexia Smart Home lineup, as well as some Z-Wave technologies. This is an area where the Trane ComfortLink II stands out from the competition. The Nest requires you to purchase additional Nests thermostats to control each zone in your home. The Trane ComfortLink II, on the other hand, allows you to purchase and connect more affordable sensors that allows you to control your entire home from one thermostat. Both systems allow you to set reminders and to control your system from anywhere using your smartphone, tablet or computer. Fortunately, both the Nest thermostat and the ComfortLink II can be set to remind you to change your air filters. 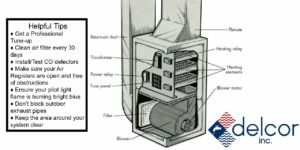 Another win for the The ComfortLink II is that additionally, it will remind you when you need regular maintenance and then give you the information needed to get it done. Obviously we recommend what’s right for you, and that always depends on your situation. If you are just looking to replace your current thermostat then the Nest will serve you well. However, if you’re getting an all-new Trane heating and air conditioning system from Delcor, we, as well as Trane, highly recommend the ComfortLink. Are you needing to install a new thermostat? 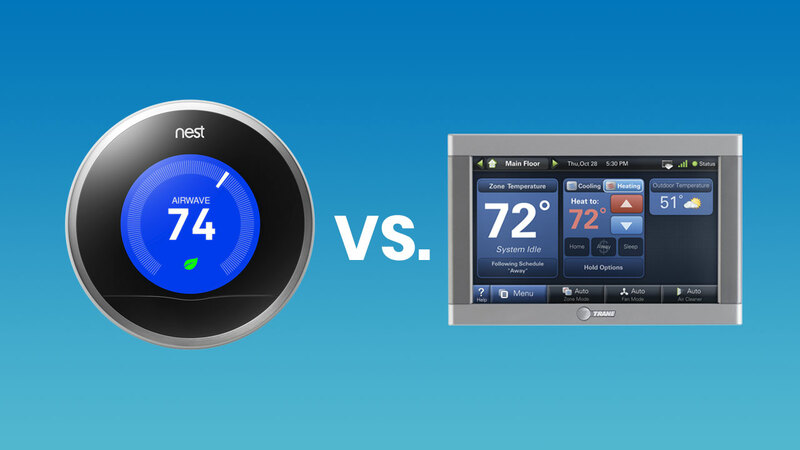 We install both the Nest and the Comfortlink II and a wide array of other thermostats. Contact us today for more information.